Is your dog being territorial? Getting aggressive around other people/pets? 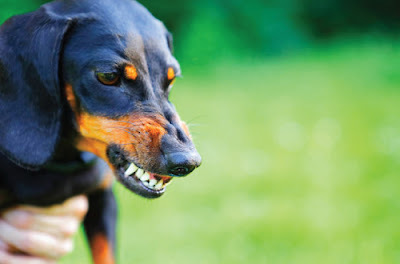 Dogs that are territoriality aggressive can be very dangerous and a huge liability for homeowners. If the behaviour goes unchecked it is likely to increase in severity and can put visitors and other pets at risk. Maybe it’s time to think about some basic training to help the well-being of your dog and for the safety of yourself and others. Why is My Dog Territorial? Like most creatures, dogs are territorial by nature. It is common for dogs to inherently guard resources and possessions deemed valuable to them. 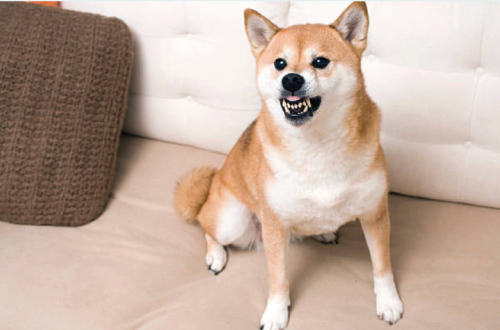 Some dogs are genetically inclined to have a greater aggressive tendency. This is due, in great part, to selective breeding for dogs that are best suited to guard us and our property. Other underlying causes of territorial aggression can occur due to the lack of adequate, early socialization or handling exercises and underlying medical issues. Since there is most often a genetic tendency to territorial aggression, the goal is not to cure the problem but to control and manage it in an effort to decrease severity of possible aggressive displays. Territorial behaviour can become very dangerous if it turns aggressive. 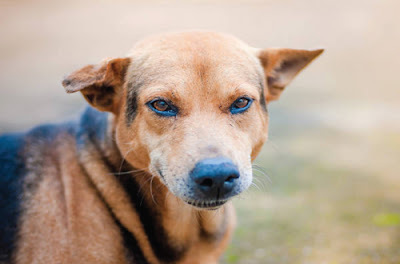 These tips and suggestions for training your territorial dog are a great starting point. Basic obedience lays the groundwork for troubleshooting problem behaviour, and basic commands can be incredibly useful in a tense situation. For example, if your dog has mastered the art of “sit-stay,” you can use it to keep them calm in another part of the house when someone knocks on the door. Pet gates and a crate will also help as you’re working on the command. Even if you’ve already been through basic obedience training with your dog, a refresher will help both of you focus and bond. Aim for a few five-minute sessions each day, and be sure to make training worth it by offering rewards. Recall, or coming when called, is among the most important things you can teach your pup, and for a territorial dog for that matter. You should be able to work on recall anywhere, but if your dog is especially territorial in the yard, indoors is a good starting point. Again, be sure to reward them for getting it right! You want your dog to know that good things come to those who come when called. Once your dog has mastered the basics, you can reinforce good behaviour by practising “Nothing in Life is Free” training. It’s time to re-train your dog (and yourself) that all resources come from you. 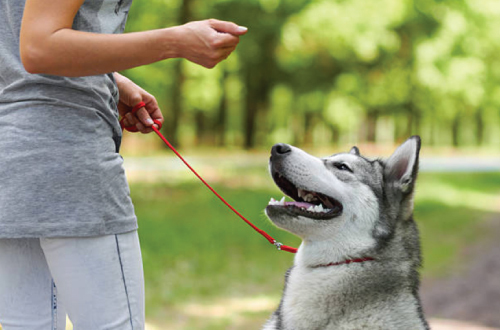 Again, start small: require your dog to “sit” before you reward them by putting the leash on to take a walk, or sustain a “down” command for a few minutes before being released to eat their dinner. Asking your dog to work for everything they want is a positive, safe way to remind them that you control the resources, and can greatly reduce guarding behaviour. Don’t wait for your dog to be stuck in a barking loop in the backyard, before teaching them to calm down. Start in a peaceful environment such as indoors, and gradually introduce more distractions as your dog becomes better at calming on cue. The idea is to reinforce a calm emotional state. This is a step beyond the basics, but when practised and reinforced, a “be quiet” command can help an anxious, territorial dog relax. Training can go a long way, but while you’re still working on these basics, it’s up to you to reduce potential prompts. This may mean closing the curtains, feeding in a private place, and gating your dog away from the front door when guests are expected. Good luck! Has your pet ever done something out of the ordinary and you’ve wondered whether or not you should tell your vet?. Find out when you should seek your vet.